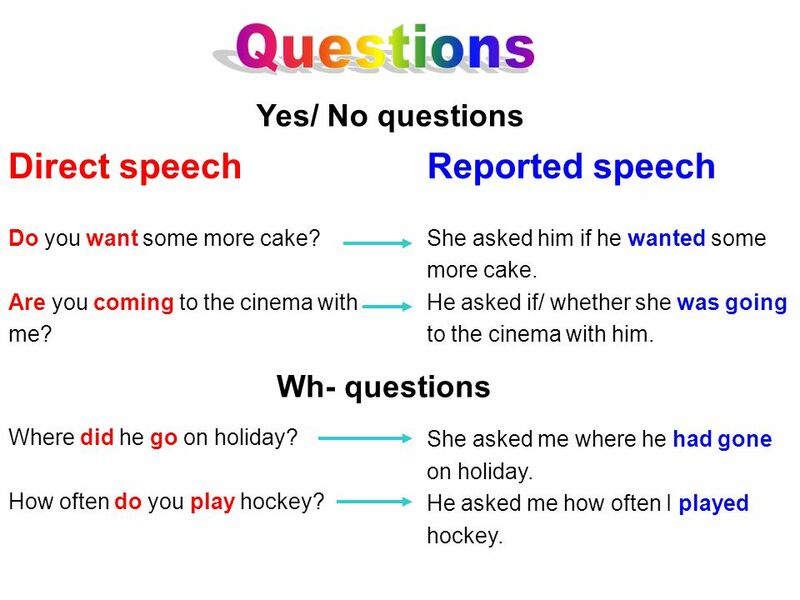 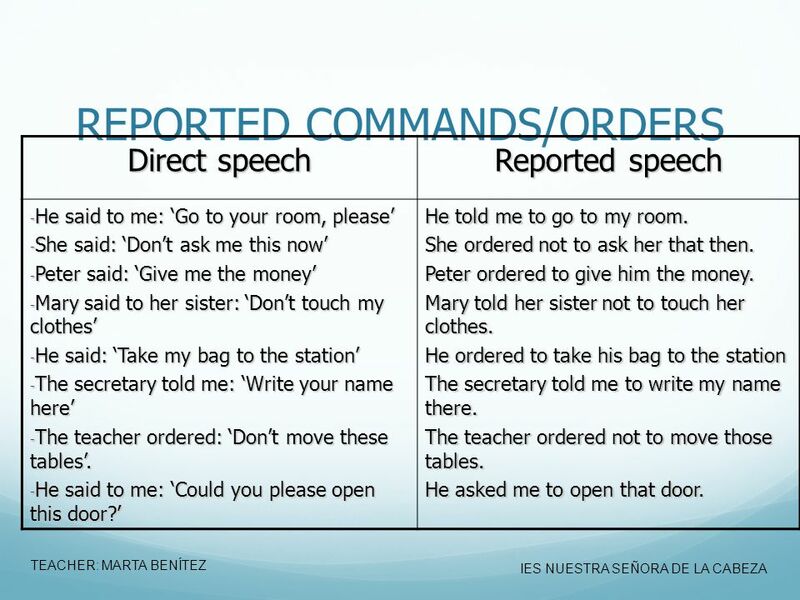 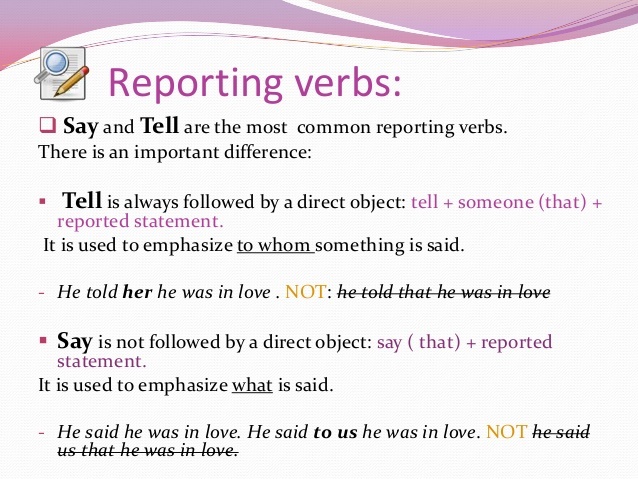 If we report what another person has said, we usually do not use the speaker’s exact words (direct speech), but reported (indirect) speech. 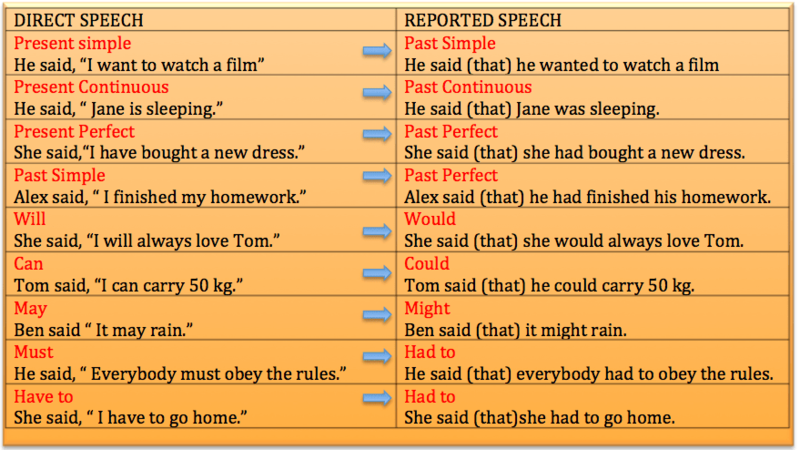 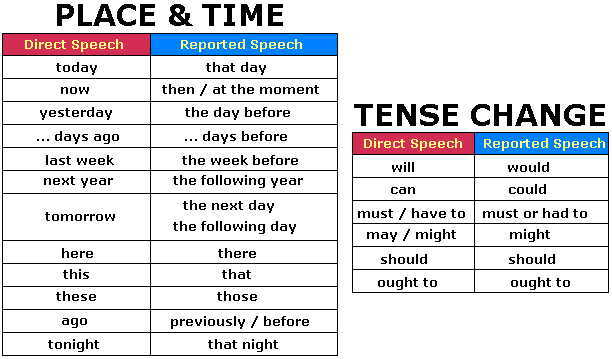 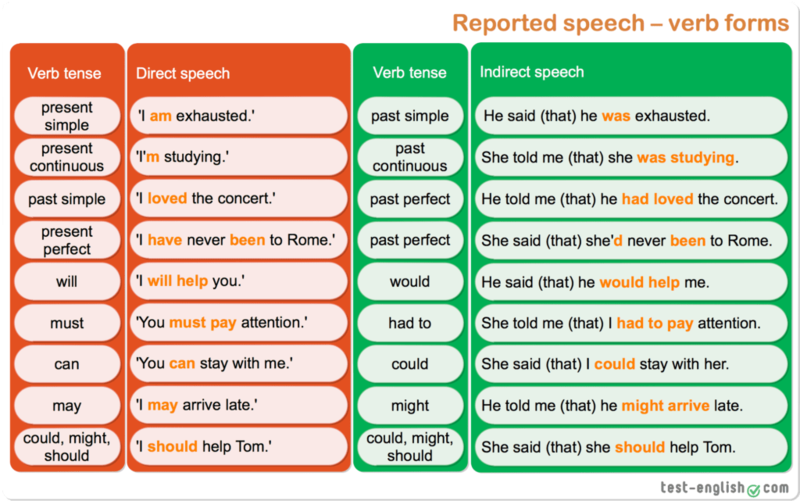 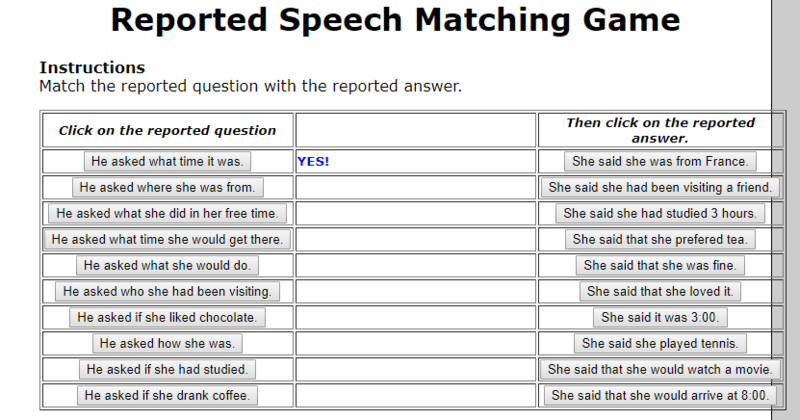 Therefore, you need to learn how to transform direct speech into reported speech. 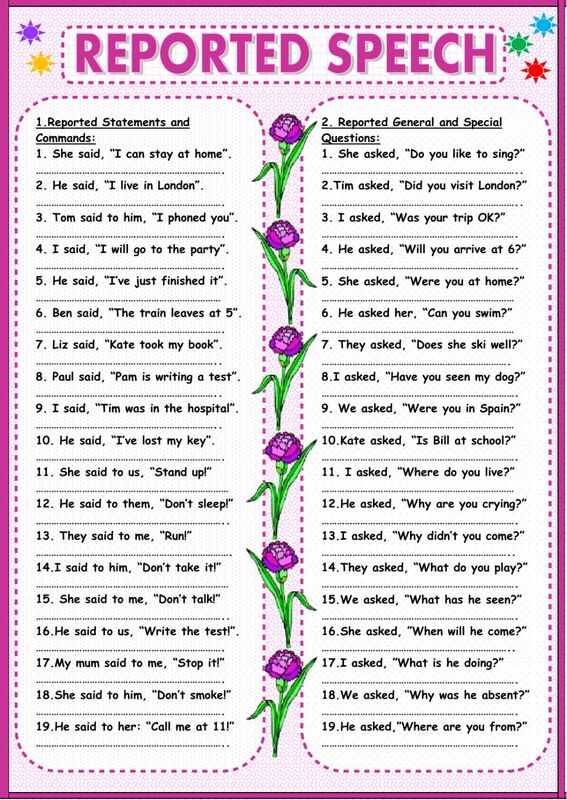 The structure is a little different depending on whether you want to transform a statement, question or commands.